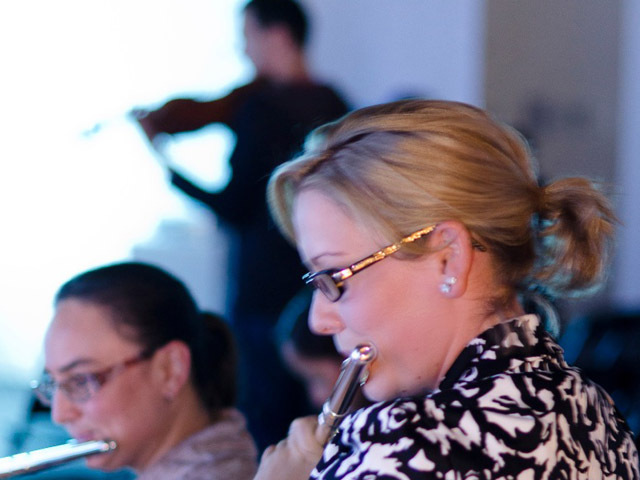 Members of the orchestra attended the After Dark exhibition and panel discussion of the ACO Virtual at The Arts Centre Gold Coast last night (Thursday 20 June). The world premiere of the Australian Chamber Orchestra’s Virtual performance installation showcases the amazing playing of the world class orchestra, encased in innovative technology. 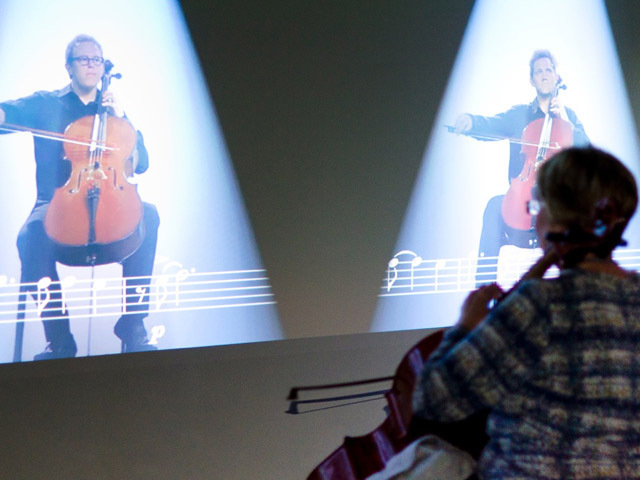 Operated by an iPad in the centre of the room, we could have the music showing as the musicians played, you could mute players to hear just the cellos, or 1st violins or any combination you want or take out one musician and then play their part instead. The After Dark event featured a talk and panel discussion by the makers of the installations and we heard of the process starting in 2009 to prepare and plan, then the day of filming in 2011 followed by the year of post production to reveal this interactive performance art. Following the discussion, Amanda, Jaime, Paval, Bev and Sandra got their instruments out (others were not so brave!) and played along with the ACO to the delight of the other patrons. 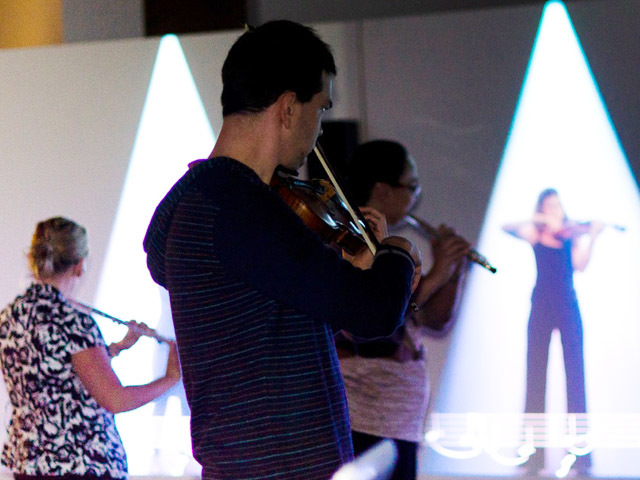 Paval amazed the makers of the installation with his violin playing, (we think as good as ACO players themselves). The exhibitions is open until Sunday 23 June so go and and enjoy the fusion of music, art and technology. Take your instrument and have a play! Thanks Pam – it was really fun playing at this event – and non-threatening too! It’s a pity I can’t have something like this set up at home – I’m sure I’d learn such a lot!